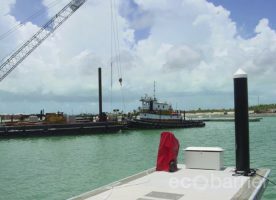 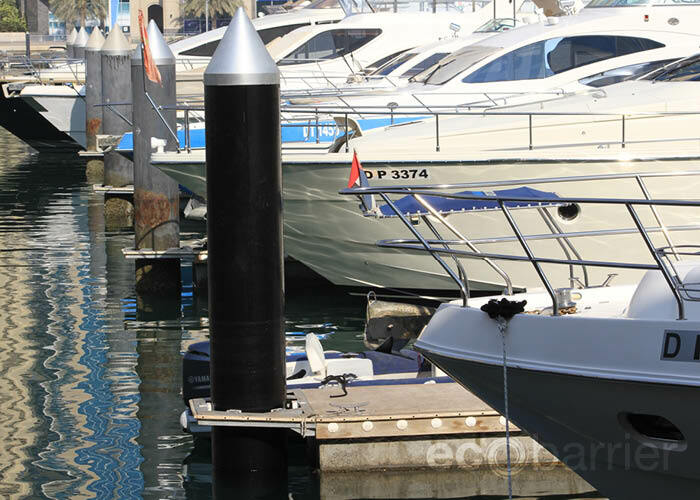 Marine pile sleeves are the ideal option for marinas looking for piles that are longer lasting and require less maintenance. 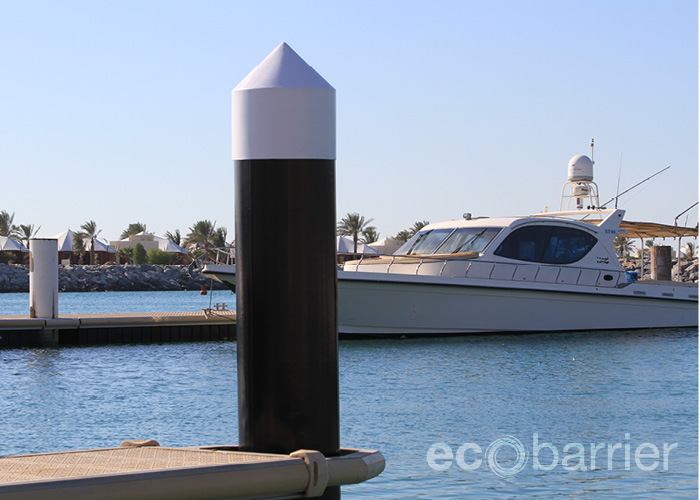 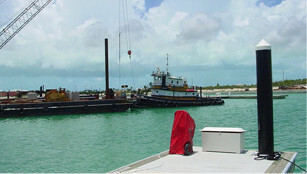 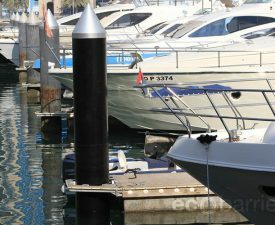 The sleeves increase the lifespan of marine piles and provide protection. 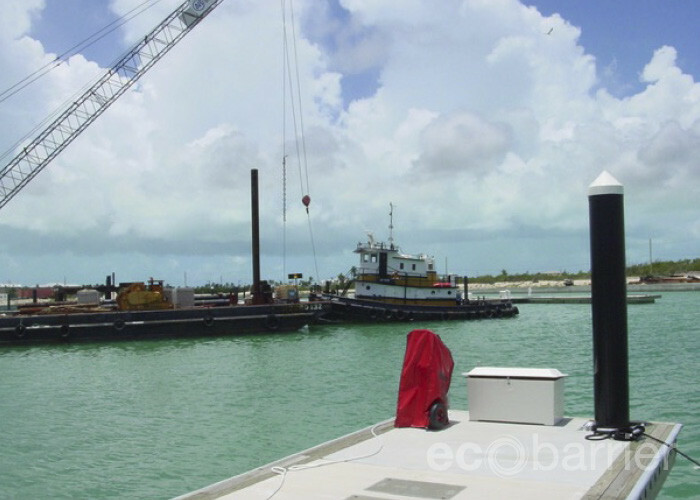 They are a cost-effective alternative to pile replacement. 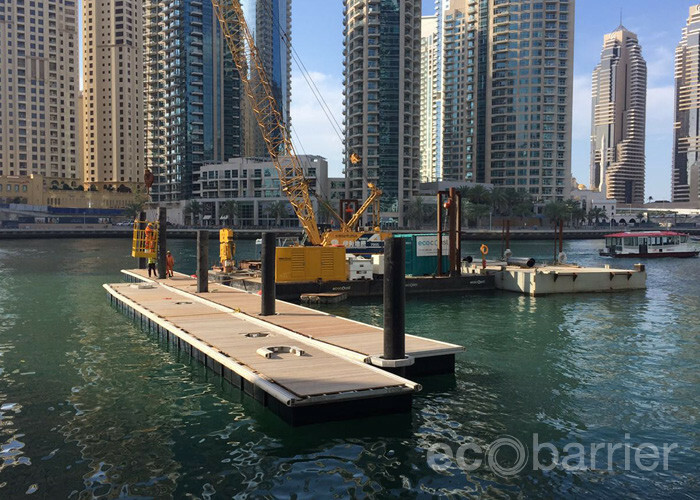 Effectiveness is especially ensured when installing immediately after piling works, as maintenance hours will be reduced significantly. 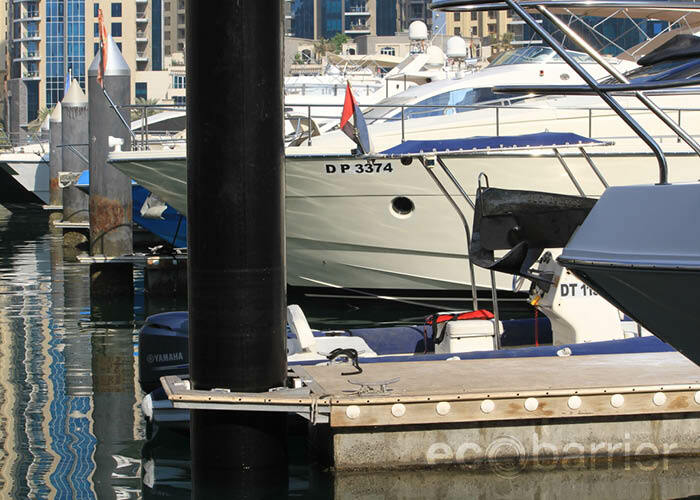 • Increase lifespan of marine piles. 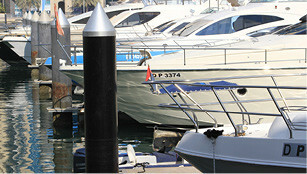 • Offer clean and uniform look. 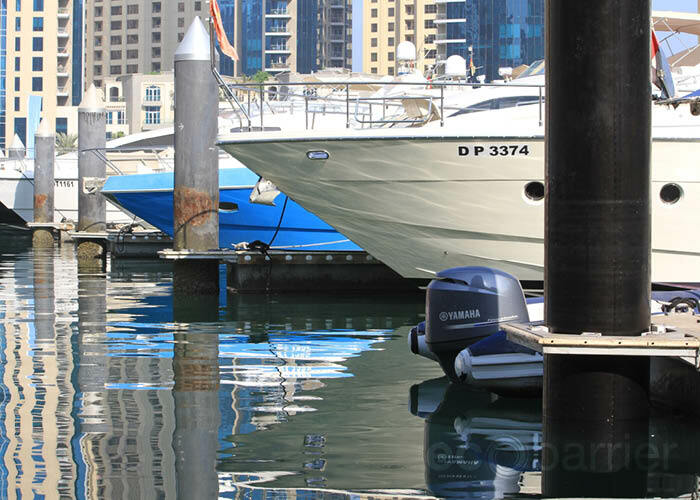 • Eliminate maintenance and stay clean. 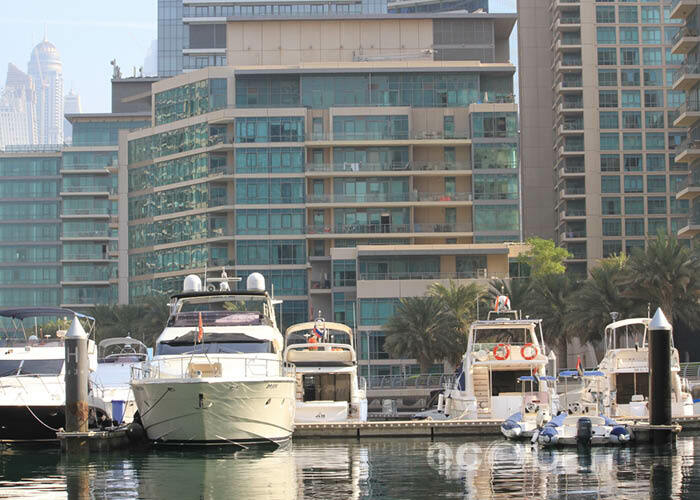 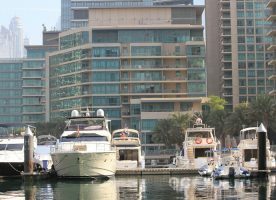 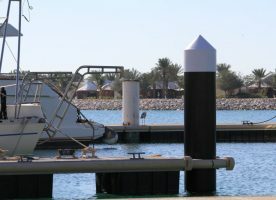 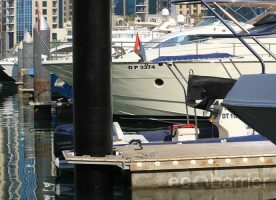 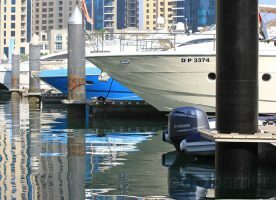 Applications For marinas that are faced with the problem of the coating on the piles not standing up to the water environment. We are the exclusive partner for Fluoron's patented UHMW-PE pile sleeves in the Middle East. 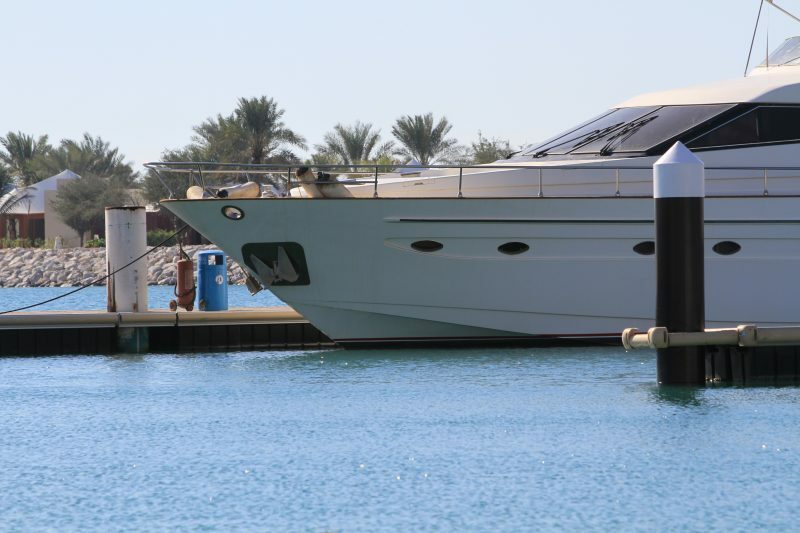 Many marinas are faced with the problem of the coating on their piles not standing up to the mechanical and salt-water environment of their floating piers. 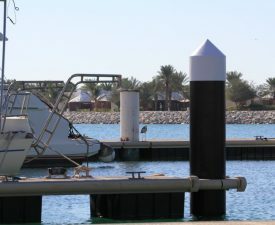 In addition, the appearance is often unfit for marinas of high caliber. 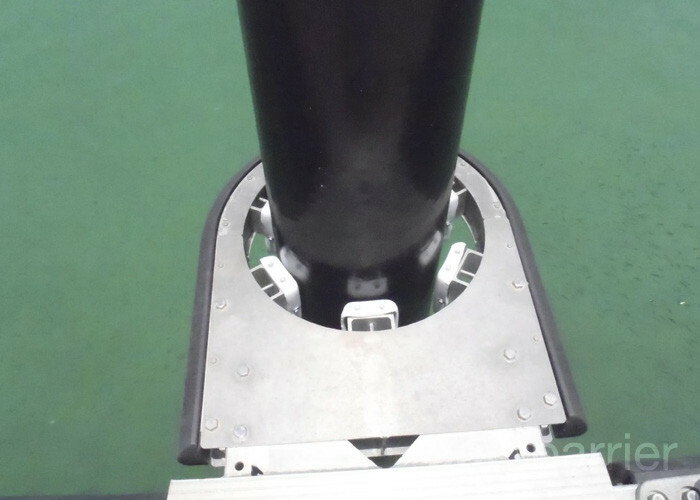 Ultra High Molecular Weight Polyethylene (UHMW-PE) pile sleeves provide a rich and attractive appearance that is very desirable, while providing the best wear protection and corrosion resistance available. 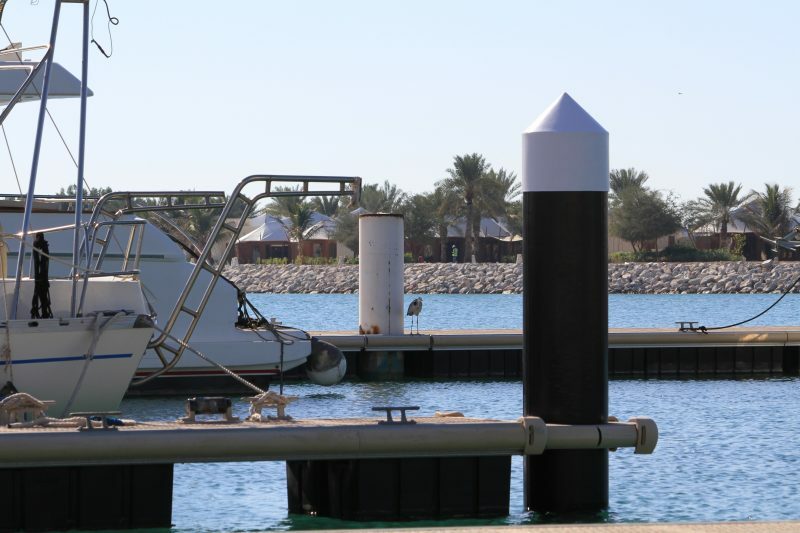 HDPE (High-Density Polyethylene) pile sleeves are a good alternative to removing and replacing marine piles, adding to their lifespan and reducing future maintenance or replacement costs. A good addition to galvanizing and/or using zincs to minimize corrosion.